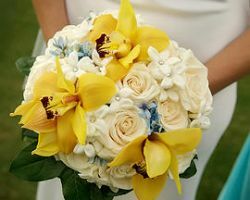 Your wedding is an event that should not only be planned but should be completely produced by the best in the business. YK Productions is a company that can help make your wedding day one to be remembered. They not only plan the entire thing, but they can select the venue and the vendors to suit your needs, create personalized décor as well as invitations, choose the perfect floral arrangements and so much more. This certified team can take care of everything on your wedding day checklist. 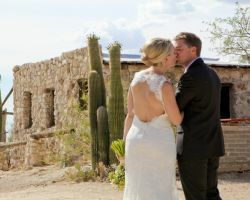 The Tanque Verde Ranch is the home of a professional wedding planning company and staff that specializes in planning wedding at this venue. This means that they know everything there is to know about the spaces, how the catering will be served, design possibilities and much more. By hiring this venue and wedding planner combination, you can be sure that your traditional Arizona wedding is not only personalized, but is unforgettable. Hire this company and experience unbeatable service and comprehensive venue knowledge. One of the very first names that will come up when you are looking for a wedding planner in Arizona is Skylight Weddings & Events. 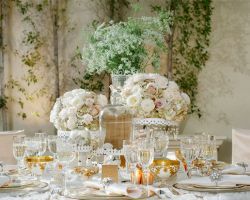 This professional event planning and wedding coordination company has worked to create memorable and beautiful events for their clients, whether they are local or planning a destination wedding. The owner of the company, Skylar Norris, is a certified wedding consultant with years of experience to offer clients. With creativity and professionalism on your side, you cannot go wrong when booking this company. Planning your wedding does not have to be stressful, in fact, you can enjoy every minute of it when you hire Peace of Mind. This company specializes in planning weddings and thus knows that there is only one chance to get everything perfect for the big day. That is why they focus on the details and find the best vendors to suit your needs. They will act as your consultant, planner and best friend throughout the entire process to make everything run smoothly and to make you feel comfortable and relaxed. It is only natural that you would find the best wedding consultants at some of the best wedding venues. The Ritz-Carlton, Dove Mountain has party and wedding coordinators for those who book the venue for their event. This company can help with everything from the design of the entire event to choosing an elegant menu everyone will love and picking musical entertainment. These professionals act as your advisors and friends throughout the process so you can relax, knowing you are working with the best in the business. Imoni Events is one of the top wedding planners in Tucson, AZ because of their versatility, fresh creative ideas and flawless execution. Trendy and traditional couples alike turn to this company when they want to have a beautiful custom wedding. They have packages that include everything, planning from beginning or packages that simply involve them being the organizers on the day to ensure everything runs smoothly. This company will make your day magical while working with you to stay on budget and within your personal style. Reflections is a popular wedding venue in Arizona and is now becoming more popular when couples can receive the celebrity treatment from the professional design and events staff at the venue. This venue and their team know exactly what services the venue offers and have a list of preferred vendors for the services they do not. 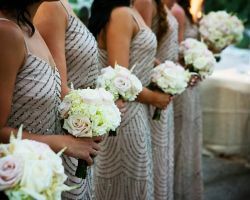 They will help you find the right flowers, the perfect dress shop while providing excellent catering and linens as well as entertainment and a bar. La Mariposa Resort is first and foremost a classic Arizona wedding venue, but it is also the home of a professional wedding planning team who are ready to assist any couple. Since this team is so familiar with the venue and the services it offers, they can help you take full advantage of the space and what the venue can provide. For the services they are not able to give, they have a list of vendors who are easy to work with and can match your event style. 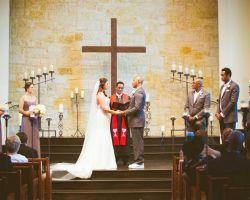 MC Events is a Tucson wedding planners that specializes in designing beautiful and unforgettable weddings and events. This company creates days that seem like they are straight out of a magazine or could be featured in a movie. Each event this company plans is flawless and always matches the style of the couple they are representing. By focusing on the details and the couple, this team is able to bring to life the weddings of dreams. They do not come cheap, but they are the best at what they do.